REIT stand for Real Estate Investment Trusts. They are specialized companies that purchase commercial, industrial, residential and healthcare real estates. Examples on the Singapore Stock market includes CapitaCommerical Trust (Commercial), Cambridge Industrial REIT (commercial), Saizen REIT (residential) and Parkway Life REIT (health care). These companies buy and manage properties including shopping department stores, offices, hotels, hospitals. REITs usually pay a generous dividend since they’re required by law to distribute most of their earnings in order to shareholders. In exchange, they receive tax incentives. Perhaps, we can view REIT being an instrument to buy and own a small portion of a house, while at the same time shared fundings with many other shareholders to use someone to manage that piece of property. With REIT, we are able to invest in real estate with no leverage, no property with no need for any stress in finding tenants and collecting rent from their store. REIT investment generally focus on dividend yield. Also, like any stocks about the exchange, investing REIT can also result in capital gain. Exactly the same can be said of investing in real properties. However, because REIT are traded about the stock exchange, it’s liquidity is much higher than the real property itself. So how do we choose what types of REIT to purchase? I’m not an expert in it, but I shall share some basics of what I believe. Basically, I will be happy with any dividend yield from 6~8% considering that I need not actively monitor the stock price. Choosing and buying those with dividend yield of >6% means that should anything unforseen occurs, a reduction in DPU would perhaps still beat putting the cash in the bank anytime. Of course, reduction in DPUs may likely bring about a drop in the share price as well till the dividend yield is to the ‘acceptable’ range. This should not matter if we are going for a longer term investment view as the dividends would eventually spend itself off. With the recent credit turmoil, there are companies who have to stop dividend payouts, perform placement, issue rights, etc, in order to remain in company. If the gearing is low, refinancing of debts is generally a problemless affair. However, if the gearing is high, as with Saizen REIT and Rickmers Maritime, the ability to refinance financial obligations at critical juncture is hampered. The ability to remain like a going concern would be cast in doubt, and this would allow it to be even harder for refinancing. A REIT that is actively, but conservatively, acquiring properties would in the long operate benefit the shareholders with increasing NAV and increasing dividend deliver. The different sectors mentioned earlier, commercial, commercial, residential and healthcare are different in nature. Industrial and healthcare related properties are often more defensive in revenue, hence the dividend yield would become more consistent. For commercial and residential sectors, the rents could vary more since the tenants are much more mobile. Hence, the dividend yield might fluctuate. However, for the risk, the yield is usually greater. At the moment, for REIT, I have only Capita Commercial Believe in and Starhill Global REIT, both in the commercial sector. I hope to eventually include the other 3 sectors so that you will see some diversification. A strong sponsor like Temasek Holdings, Capitaland, or YTL Corporation will be key to the success of the REIT in refinancing it’s loans. Real Estate Investment Trust (REIT) resembles mutual fund investments with the diversified investment array; moreover, it has some tax advantages. Within asset management, REIT can provide diversification for a portfolio. Due to the unique nature of REIT, a fund that invests in real estate holdings can provide a great way to hedge the stock and bond markets. If you remember following the late 1990s internet tech boom, the market underwent a significant correction. The stock market went down considerably and worried investors due to the stock market volatility. As capital pulled away from the marketplace, more investors were looking for other types of investments including property. Real estate subsequently surged because of low interest rates and curiosity about new forms of investments. As popularity in housing rose, the medium price per home surged too. With dropping stock prices, real estate became the safe haven that concerned investors were searching for. REIT could be a great investment option for asset administration purposes. It not only provides diversity, but it provides constant returns. In fact, REIT have provided roughly an average annualized come back of 12. 6% (12. 6% return on average every year) previously 30 years. A popular benchmark, the S&P 500, has came back 12. 2% over the same time frame. Even with the slight advantage within the S&P, the. 4% difference can provide cumulative returns over the future. REIT also have tax advantages. Since 90% of the profits are returned straight to the investors, double taxation is avoided. Typical corporate profits are taxed twice because the taxes are first taxed on the corporate level and then using the individual shareholder. REIT also have the flexibility of stock money. Under the proper portfolio management, they can provide liquidity by having the ability to sell their holdings without any restrictions. This allows the managers every single child invest in other real estate that might be hot right now. These trusts can even be diversified among various geographic locations and property types like corporate offices and homes. For only a few thousands dollar since the minimum investment, an investor can take advantage of ownership in diversified properties as part of his/her asset management. REIT not only provide capital investment, but also, they are income for investors. The income stream is mainly from leasing income. Each month, the managers provide income distributions that are usually consistent. This is a great vehicle for someone looking for high dividends present in large corporations. As inflations rises, corporate profits become relatively reduce. Stocks, therefore, are exposed to inflation risks. However, REIT can become inflation hedges. While the cost of living rises, rental income can rise too. So rising rental income can offset the inflation factor. REIT provide an effective way for investors to diversify their holdings. Asset management will benefit through the tax advantages, inflation hedging capabilities, geographical diversity and most significantly, portfolio diversity. For more information about REITs, consult your financial planner or contact a significant mutual fund company. How do REIT perform (I.e., yield income) relative to land investments? All real estate in the UK is poised for value growth, given demographic trends for the next two decades at least. But how to invest requires careful examination. In all sectors of real estate investment in the U.K. there is a general level of optimism about the mid-term future. This is largely based on demographic trends in the country, as charged by the Office for National Statistics (ONS) and the 2011 Census. The numbers basically reflect a population increase based on a higher birth rate, a lower death rate and inward migration. For example, from 2001 to 2011 the population of England and Wales has seen a net increase from 52 million to 56 million, an astounding 7 percent growth rate. The ONS offers some interesting breakouts of statistics within this growth, which includes how the population is distributed evenly among age groups. In comparison to some western European countries and Japan, the distribution of populations in the 30- to 60-years age categories is evenly split. This means that the golden 45-49 year old cohort – those who buy the most, pay the most in taxes and who purchase properties – will be a strong economic driver at least through the year 2035. There is also a well-documented housing shortage, which became more critical in the recession during which little building was done. 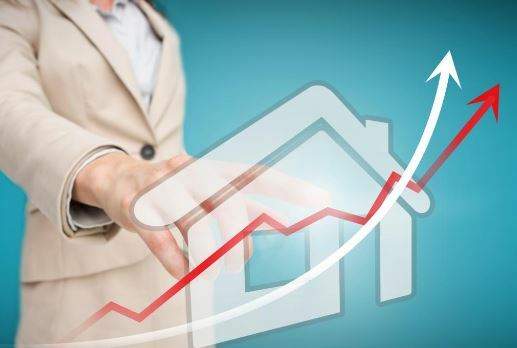 Combined, these factors spell good prospects for real estate valuations and real estate investors. Time frame expectations – A REIT may deliver a good return in a matter of weeks or months, or it can go on for years with flat or even losing returns. The land funds investor generally expects to hold the investment (and achieve target returns) in a two to five year time frame. For the land investor, the property that is selected is ripe for development with a zoning change because well-researched locations will accommodate a municipality’s need to expand commercial or residential properties. Need (or non-need) for liquidity – As a REIT is bought and sold on an exchange, that investor has the advantage of doing just that at a time of their choosing. The land investor, operating as an individual or within a professionally managed fund, understands the upswing of value is likely to happen in a few short years and therefore is wise to stay with the investment until the property is sold. Relationship with the actual property – While the REIT investor technically owns shares in dozens if not hundreds of properties, he or she may never even know where those holdings exist much less the factors affecting their value. The land investor is well informed on the whereabouts of the property, the local economy and the land zoning board’s propensity to approve a use designation (zoning) change. His or her task is to devise a smart land site assembly that satisfies investors, buyers and neighbours. Arguably, this closer relationship can enable smarter investment decisions and yield stronger capital growth returns. Of course, no investor should embark on any significant real estate investment of either type without discussing his or her investment strategies holistically with a personal financial consultant.